There’s something traditional about cooking with a gas range. After all, out of all the other kinds of stoves this is the only one that still uses fire and, as you may know, humanity has been using fire since we learned how to use tools. While there are advantages to i﻿﻿n﻿ductio﻿﻿n stove and other electric based ranges, gas stoves have plenty of advantages which make them an excellent investment for home owners of all kinds. If you’re thinking about purchasing a gas range, then you’ve already started things with the right foot. Now all you need to do is learn more about gas stoves, their uses, advantages and disadvantages so you know exactly which one will fit your needs. Sounds like a lot of work? No worries! This was written for you. Not all gas ranges are made the same. Some are more powerful, others offer a larger capacity, others are more economical and so on. 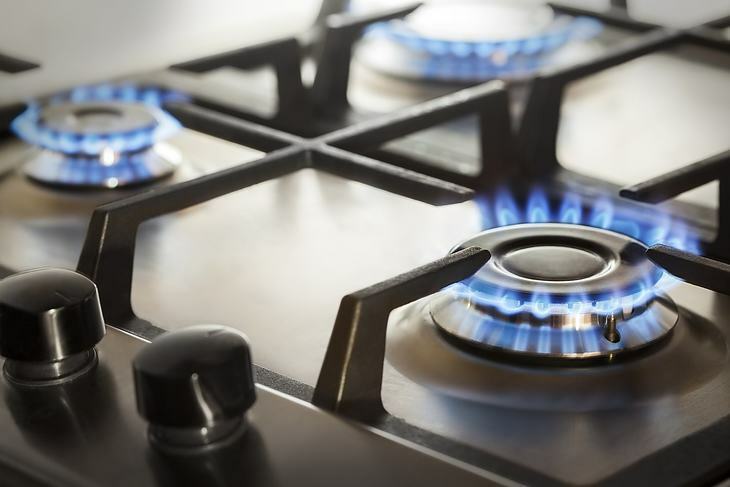 Here are the things you should consider when looking for a dependable and useful gas range. Gas stoves are always hotter than electric or induction ranges and also considerably more responsive, thanks to the open flame which goes up and down instantaneously and can heat up things much faster. That said, not all gas stoves have the same potency or capacity, which means that not all gas stoves are suitable for all needs. To better understand what kind of gas stove you’re looking for, you need to understand the measuring units that stoves use: Btu, also known as British thermal unit. Industrial cooktops can work with 20,000 Btu per hour but most homes use anything between 5,000 Btu to 12,000 Btu. 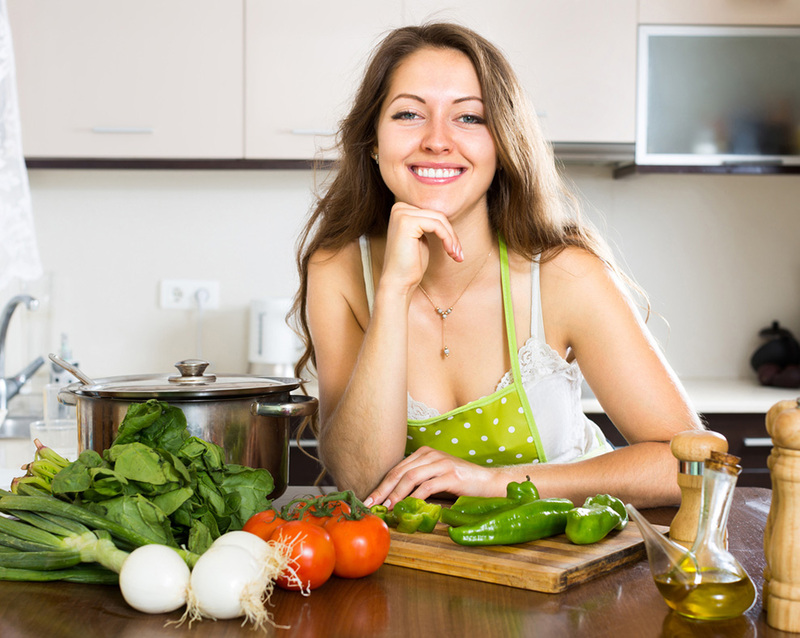 As you can imagine, the more you cook and how often you do it determines how much power you’re going to need; A single person or a couple can get away with a 5,000 Btu range but a medium to large family will need more heat. There are two kinds of gas ranges, freestanding and slide in. While the names might be similar they both pretty much the same. 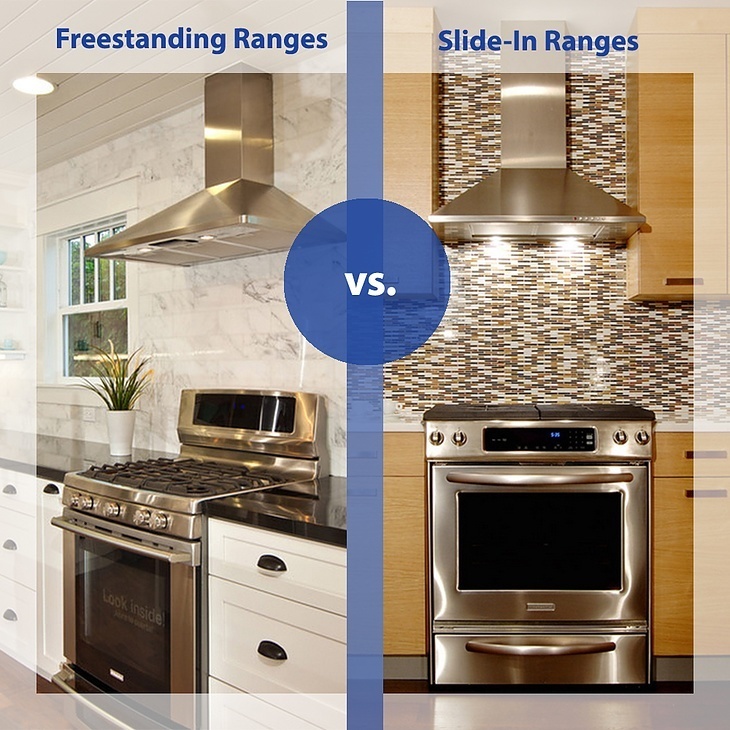 The difference is mostly aesthetic, though freestanding ranges tend to be more expensive. As their name implies, slide in ranges can simply ‘slide in’ between counters. This particular kind of range has no backdrop which makes them integrate seamlessly with your counters. They also tend to have the burner and oven controls at the front, which makes them considerably easy to clean and makes them look more stylish. Freestanding ranges have a control panel at the back, which feature the burners and oven controls, which gives them a more modern look. Of course, it helps that electric stove﻿﻿s also have their controls at the back, making these two easy to mistake for one another. Freestanding ranges are also cheaper, which makes them a great choice for people who care more about function than looks. 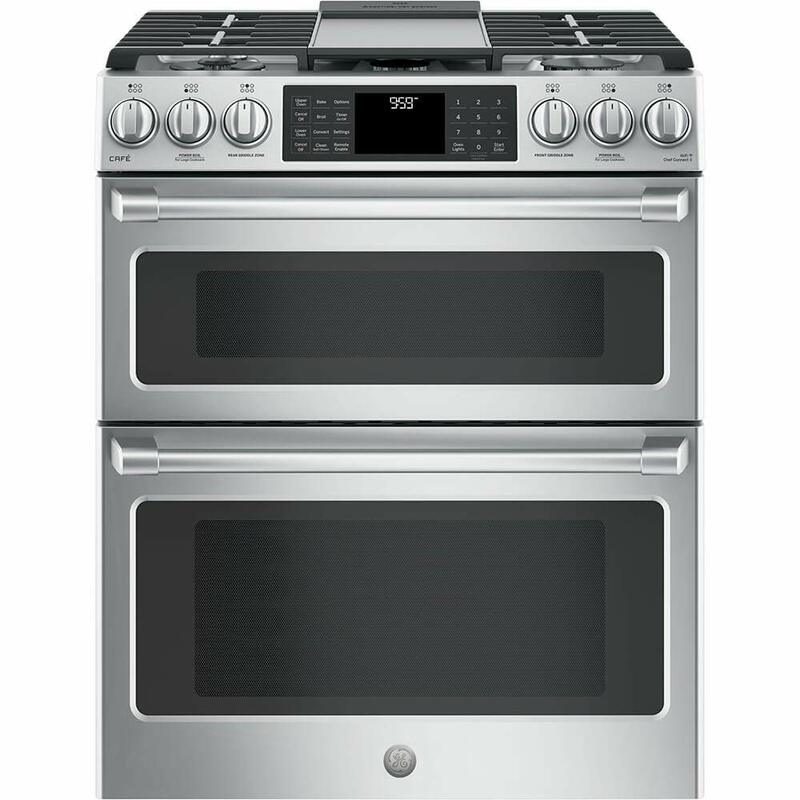 The difference between ranges and cooktops is that ranges have ovens, which makes them twice as useful. Of course, it also means there’s something else to keep in mind and that’s the size of your oven. If you bake frequently then it makes sense to get a larger oven. Think something 3 cubic feet or more. This is also a great option if you bake large things, such as whole chickens or even turkey. If you don’t bake as often then a 2 cubic feet oven will work just fine. Of course, if you do bake frequently but only small things you can probably get away with a small oven. There’s also the dual option. Some gas ranges will have a small and a large oven, which gives you more freedom if you’re a baking fiend but can be an unnecessary expense if you only bake every now and then. We’ve covered the three most important characteristics to consider when shopping for a gas range, but there are other characteristics to keep in mind, particularly when it comes to comfort. Cooktop Configuration: Some cooktops have a continuous iron grate. Others are divided in sections. Continuous grates are more comfortable to use but they’re also more expensive. Cleanup: As you can imagine, cleanup is important to consider. Some burners can clean up more easily and some stoves even have integrated griddles, which you can simply wipe off once you’re done cooking. 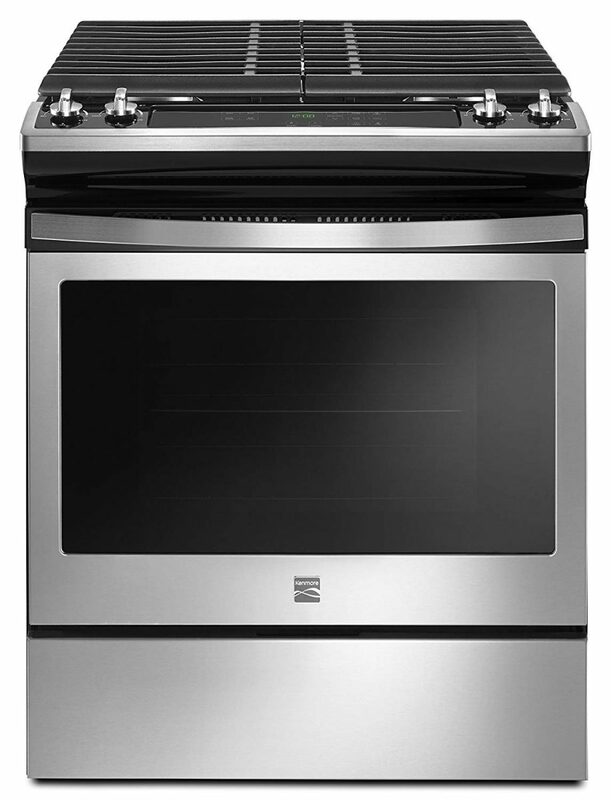 Extra Features: Using a gas range doesn’t mean you need to sacrifice the comfort electric ranges provide. Some gas stoves offer things such as children safety locks, extra functions and even extra burners so make sure to check the extra features before making your choice. 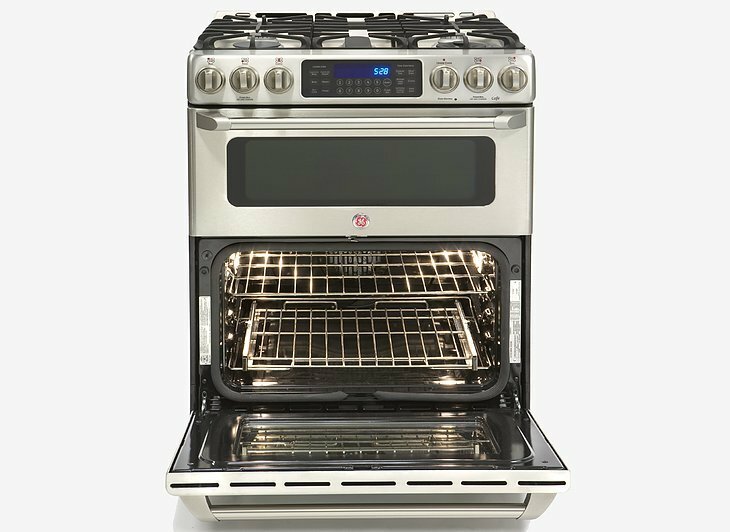 With all this in mind, it’s time to look at some of the best 30-inch gas range models out there. This way you can start shopping with all the information you could possibly need! While this is a pricey model, it’s easy to see why it is included in this list. This range has it all: Tri ring burner, self-cleaning options, double oven. It even connects to wifi so you can control its functions from your cell phone. You can preheat on your way home. 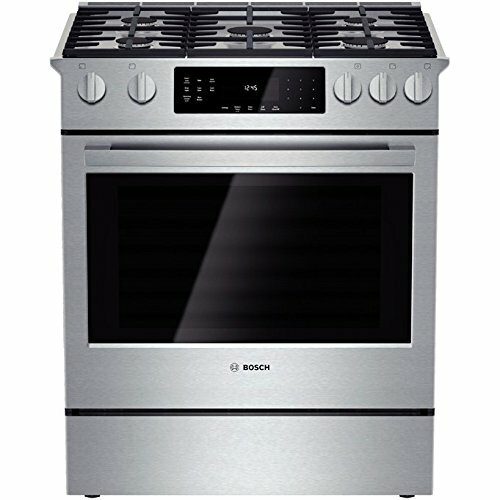 This is a very responsive cooktop with a comprehensive control panel that allows you to control the burners and the ovens individually, though it can be said that the controls are a little too sensitive because it’s easy to accidentally change settings by just brushing the control panel. 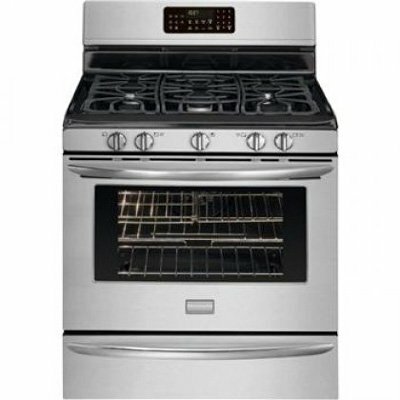 Thanks to its two large ovens (the smaller one being 2.4 cubic feet and the large one being 4.3 cubic feet) this oven is an excellent option for large families or people who like to cook a lot. This range also has 6 burners and can go from 5,000 Btu to 21,000 Btu which brings it as close to professional quality as you’ll get with a home stove as this one. Another positive aspect of this range is that it’s very easy to install, as it’s a slide in model. When it comes to kitchen appliances, it’s hard not to trust Kenmore. This company has been around for decades, delivering reliable products one after the other which is why it’s no surprise that this stainless steel freestanding model is on this list. This model offers a 18,000-BTU Turbo Boil burner that provides more power for faster boiling liquids. It has three other burners that go from 5,000 BTU and 15,000 BTUs. It has easy-to-use digital oven controls. This is another stainless steel slide-in range that’s made precisely to fit between countertops and look great in any kitchen. This stove has one of the largest ovens out of all the ranges in this list which makes it perfect for cooking for large families or to entertain a lot of guests. There are two large burners sitting comfortably at the front of the range, a large burner at the center that can go up to 18,000 Btu and two smaller burners at the back for delicate recipes. This range has 9 cooking modes that can be easily programmed with its touch screen and it also includes a self-cleaning mode that makes cleaning this range a piece of cake. This stove has a single oven, which isn’t necessarily a bad thing considering the size of the oven in question but needs to be mentioned. The doors of said oven do feel a little delicate and the springs tend to wear out quite quickly, which is a shame considering the high price of this range. This freestanding range is one of the largest in this list, with 5 burners and a huge 5.0 cubic feet oven that makes it perfect for large families and for people hosting parties for large numbers of people. This stove can go up to 17,000 Btu, making it perfect to grill and char certain foods. 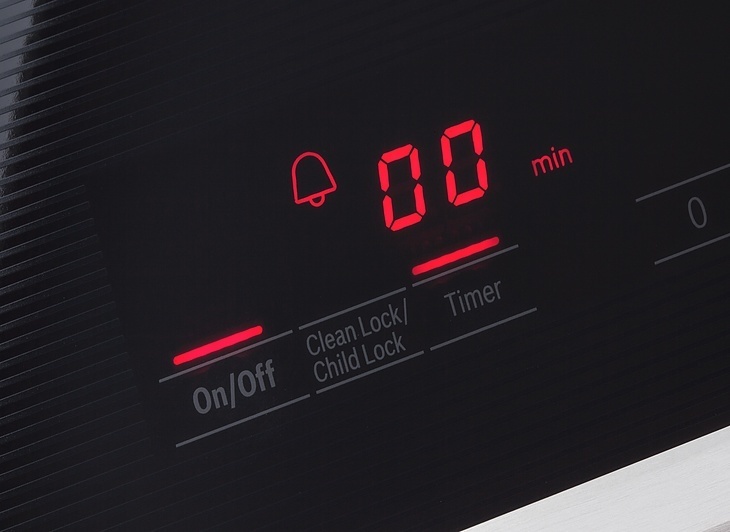 You can use the digital controls to personalize cooking settings, to check temperature, to choose cooking modes and even to set a temperature and be notified when the oven reaches it. This range includes a storage drawer which makes up for the fact that there’s no warming drawer attached, which is understandable, considering the size of this thing. 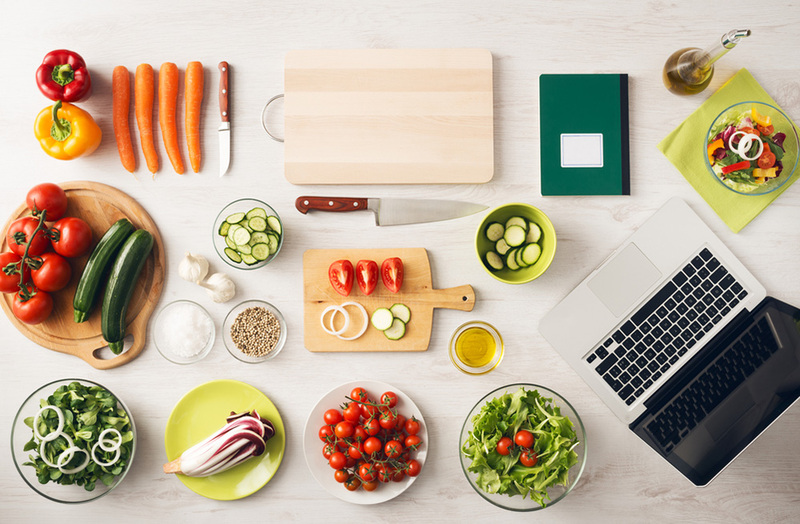 The last article in this list also offers the largest oven out of them all with up to 5.8 cubic feet that will let you fit and cook just about anything. This stove features 5 sealed burners that are easy to clean but also perform amazingly well, particularly on attachments such as the included cast iron griddle. This range comes with a touch screen with guiding light controls which promises to help you control every aspect of this modern stove in seconds. It even comes with step by step instructions that show you how to use this appliance like an expert. Despite its size, the oven can also be used as a convection oven which will allow you to cook a wider variety of foods. You can also use the control panel to personalize different heat settings, use the stove and the oven at the same time and also control the included warming drawing, which has three levels of heat. While this stove is made with stainless steel the material used does leave a lot to be desired as it stains and scratches rather easily. Now you’re armed with the knowledge that will allow you to make the best choice when it comes to getting your own 30 inch gas range. Filed Under: Cookware, Oven, Product Reviews Tagged With: 30 inch, best, gas, ranges.